» News » Mission on Weaver St. If you’ve been on Weaver Street at all in the past four months, you’ve probably seen a sign that reads, “The Episcopal Church of the Advocate.” Curious as to what that is? The Episcopal Church of the Advocate is a mission church and an extension of the Episcopal/Anglican tradition, but the building on Weaver Street is just the vicar’s office. The Advocate doesn’t have a permanent place to hold worship services yet, so it rents out space in the Chapel Hill Kehillah synagogue – an arrangement that advances one of the church’s primary objectives: reaching out to those drawn to less traditional worship. The house on Weaver Street and the space in Chapel Hill Kehillah are only temporary, though. According to the church’s vicar and its website, on April 1, 2008, with an initial payment of $500,000, the Advocate entered into a contract to buy land in Orange County on Homestead Road. The 15-acre site includes a modest brick house, a small pond and thick woods. The remaining $445,000 is to be paid by closing in April 2010 and the church is fundraising for an additional $300,000 for other improvements on the site. The Episcopal Church of the Advocate was established by three surrounding Episcopalian churches: Saint Matthew’s Church in Hillsborough and the Chapel of the Cross and the Church of the Holy Family, both in Chapel Hill. According to the Advocate’s vicar, Rev. 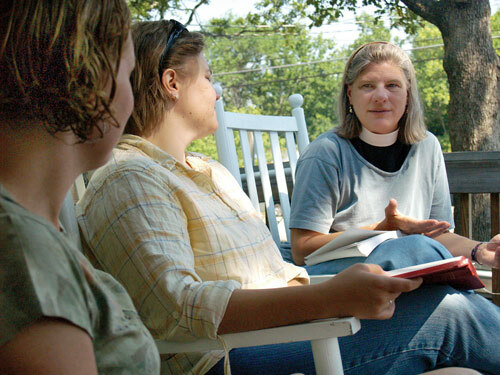 Lisa Fischbeck, the three churches wanted a new type of Episcopalian presence in the Chapel Hill-Carrboro area that reflected the unique culture of the community. She said the words printed at the bottom of the Advocate’s sign — “Compassion, Justice, Transformation” — are at the core of the Advocate’s values, with “Advocate” denoting the Holy Spirit. 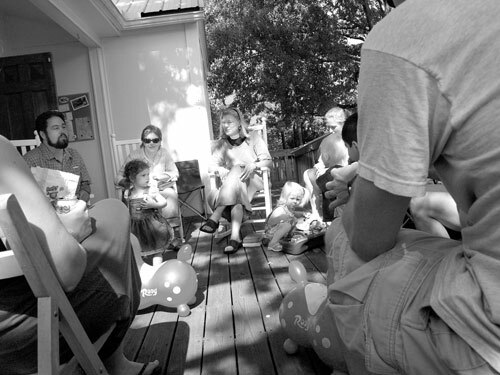 “Radical hospitality” is equally important to the Advocate’s purpose, Fischbeck said. The church focuses on community involvement, like the English as a Second Language classes they offer Tuesdays and Thursdays or the collaboration it has with Club Nova, where congregation members work with mentally ill citizens to understand their needs and to participate in efforts toward mental health care reform. Advocate members are also involved with the Orange County Organizing Committee, an organization also in its embryonic stage, working together for change in areas such as affordable housing, reducing the achievement gap in the school system and environmental racism.